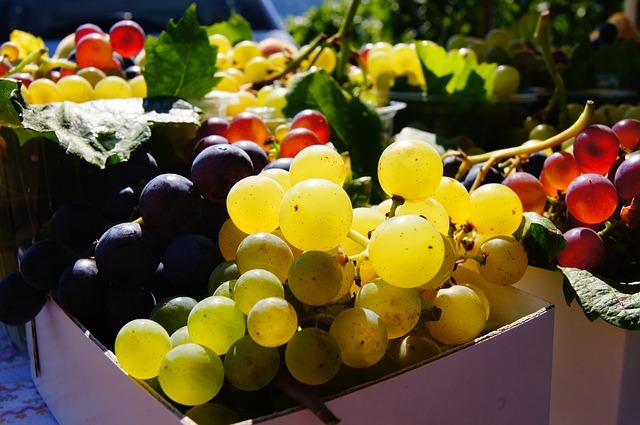 Purple and red grapes contain resveratrol that has amazing benefits to our well-being. It can help us lose weight by reducing our cells’ ability to store fat and by causing fat to dissolve faster than normal. Resveratrol also protects our heart by improving the dilation of our blood vessels letting blood flow easily through. It also lowers the blood pressure by helping the blood vessel walls to relax and increase in diameter, which aids in the delivery of much needed oxygen and nutrients into the parts the cells of the body thus lowering the risk of heart attack. Resveratrol also protects the brain by removing free radicals and plaques that damage the brain, lowering the risk of Alzheimer’s disease. And with the damaging plaques out of the way, blood can flow more freely to provide much needed oxygen to the brain, which improves brain function and speeds up our brain’s response to stimuli. Many forms of cancer are also prevented by its free radical-fighting properties. For example, skin cancer is prevented because resveratrol protects the skin from UVB rays. But for those who are already undergoing radiation therapy for cancer, resveratrol still provides relief by protecting the body against the radiation. Resveratrol also helps the body to stay younger longer as it activates the genes in our bodies that govern longevity. It also prevents the onset of diabetes and those who already have diabetes as it helps drop the sugar level in the blood by up to 12 percent. The strong antioxidant properties of grapes also helps in doing away with uric acid and various other toxins in the cells and muscles, thus helping with muscle recovery and removing inflammation. Athletes recovering from muscle injury and people with high risk for heart ailments can benefit well from resveratrol. So go ahead and have some wine, red wine that is. The Healthy Way To Gain Weight. It’s Easy!